So far hlatham1 has created 42 blog entries. 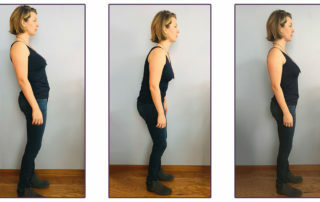 One of the first things I do with a new client is to evaluate their standing posture. They may feel like they are standing straight, but injuries and life habits force us into adapting postures that may not be ideal. 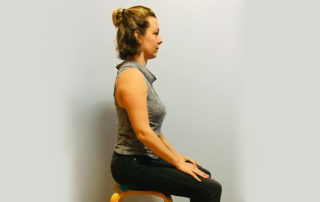 Warrior 1 is a popular standing posture that can be performed with your hand on a wall or seated on a chair for extra support or balance. Is there such a thing as “bad posture” or “bad sitting posture”? Maybe….maybe not…. Maybe it’s more about a lack of variety of movement. 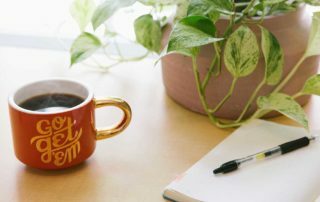 Sometimes we run into trouble when we find ourselves stuck in one position for a prolonged period of time. I hope you enjoyed last month’s post about using a half foam roller. Let’s chat about ways to use the full length foam roller so you can increase mobility and decrease stiffness right in the privacy of your own home. Want to open your side body? Improve digestion? I have the posture for you! 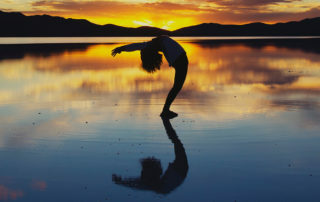 Banana Pose offers a spinal side bend in a supportive, restful fashion. 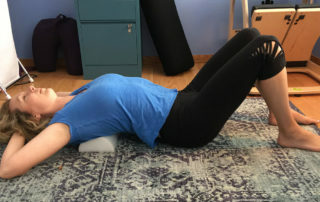 By laying on the ground, you are able to really release into the posture. 1998 was the year I discovered foam rollers. It was my first time living in NYC. I was working as physical therapy intern in orthopedics across the street from St. Patrick’s Cathedral. What do you want your pelvic floor to do during the movement? What feels right in your body? Single Knee to Chest is often prescribed in physical therapy and frequently practiced in yoga class. 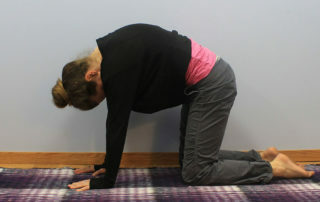 This posture is easy to do at the end of the day, even laying in bed, or first thing when you wake up in the morning.